Want to know where a link like http://x.co/6nSKM will take you and whether that page is safe to visit? Find here the best URL expander and its runners-up that let you find out. on his new website in 2002. It shows the Mozilla 0.9.7 browser (a descendant of Netscape and precursor to Firefox) rendering the very website. Wondering where a TinyURL.com link or one shortened with another such service will take you, though, and whether that page is safe to render and use? Use one of the following services. Some post screenshots, too! Go here first. In most compact and easy to grasp a manner, GetLinkInfo.com shows you all the information you need for an unknown link—shortened or not. Most importantly, GetLinkInfo.com immediately points out links unsafe to follow. While the Google Safe Browsing it uses to check safety usually does a solid job, a selection of security solutions might give you a more rounded understanding. Very helpfully, GetLinkInfo.com also checks the links on the redirected page for safety. Other than the missing screenshot of linked pages perhaps, GetLinkInfo.com helps you understand the page with essential information, though: you get the title and description, of course, together with the full redirection chain (if a URL is redirected multiple times). Expand URL gives you a good idea where a shortened link will take you: besides the destination page’s title and description, you get to see a screenshot and all redirects in between. As a side note, Expand URL also shows the full URL’s content type and meta information (keywords and description) as well as its safety as gauged by Google Safe Browsing. Unfortunately, this is also but a side note in Expand URL; possibly unsafe links could be highlighted more effectively. Other than that, Expand URL does offer a robust and useful accumulation of crucial information. 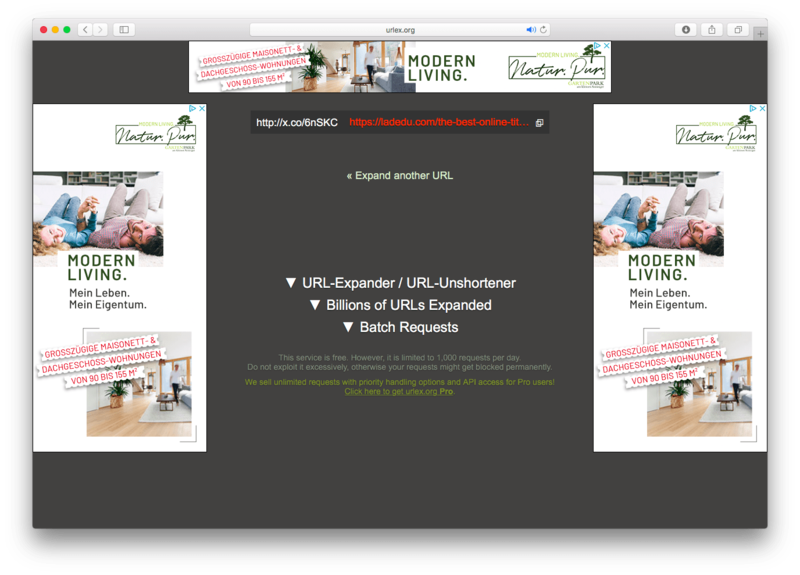 URL-Expander does just that: it expands URLs. The emphasis is on “just.” Hand URL-Expander a link, and it will return the page to which the link eventually leads, nothing more: no title, no screenshot, no intermediate steps, and no unsafe link warning either. That means URL-Expander is particularly easy to use for just finding out what full URL hides behind a shortened one, but else it is of not much use. 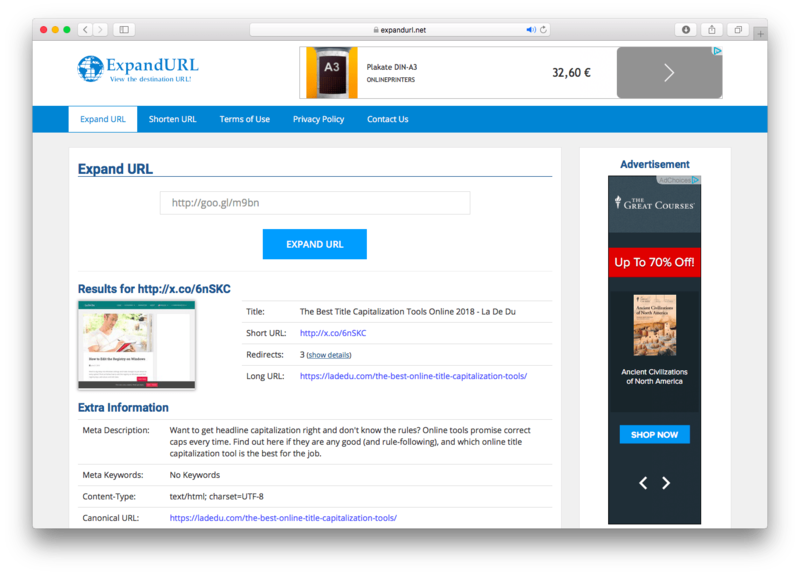 On the plus side, URL-Expander offers an API that lets you include its link expansion in your software projects—say, to build an app that expands as well as analyzes short URLs. Do you care for multiple views directly, if possible, from their sources? Instead of integrating safety checks in its display, CheckShortURL lets check the expanded URL for any shortened link with a host of services. Did I write “any shortened link”? 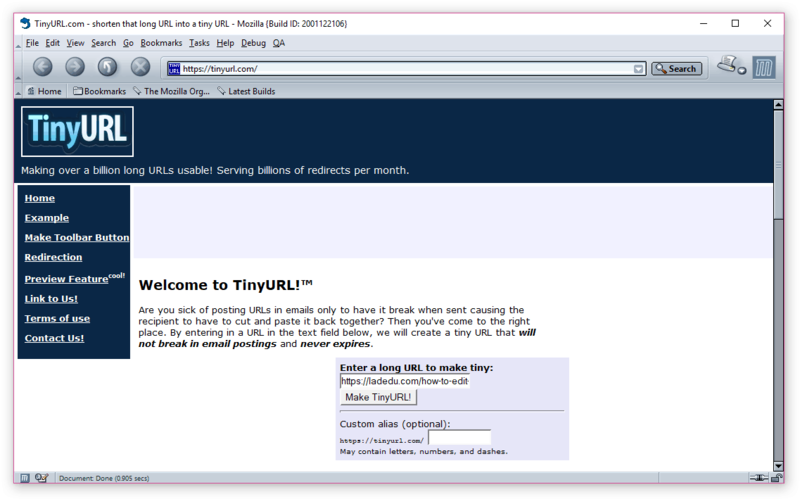 Unfortunately, CheckShortURL failed to expand some of the short URLs I threw its way. The safety checking links, likewise, are not all up to date. While CheckShortURL, finally, displays a screenshot of the expanded URL in prominently helpful a manner, the rest of the information is a bit haphazard. I’d wager you typically do not care so much about the type of HTTP redirection used or the time it took to expand the short address. 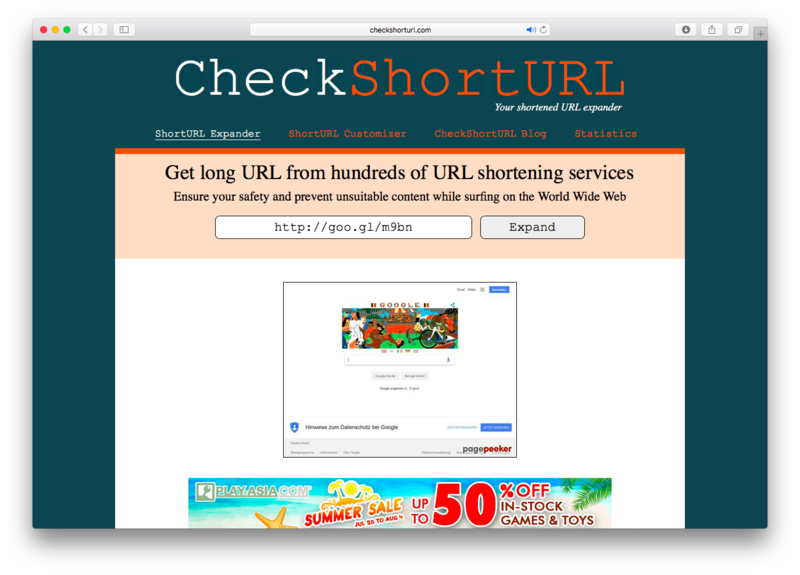 Either way, CheckShortURL is a useful URL expander for the security links it offers.